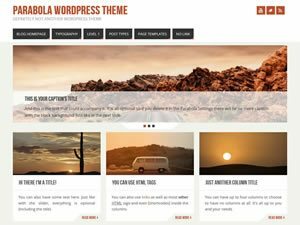 Having to choose a WordPress theme has become one of the most daunting tasks when starting out with a new site. And rightfully so. 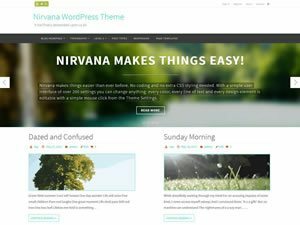 You’ll find many themes out there, both free and premium, all claiming to have the most and best features, all promising to be the prettiest, the fastest, the most responsive and so on that it’s really easy to get lost. And that’s how you end up paying for a product that’s not really what you needed in the first place. 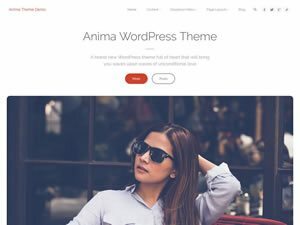 We’ve created quite a few WordPress themes ourselves, used some for our personal projects, and for the most part we’ve searched for, installed and customized a great amount of themes for our clients. The most important thing is to find a theme with a design that looks good both to you and your readers and that will also fit with the brand or subject matter of your site. Easier said than done, I know. 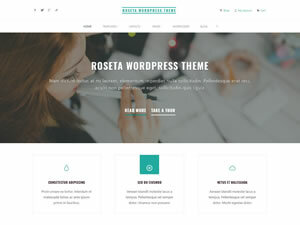 But although this is a very subjective matter, a few aspects like the color scheme, layout and the typography of your theme should make that decision easier. Do you need a wide layout or a boxed one? Are you satisfied with the default colors, and if not, can you customize them? 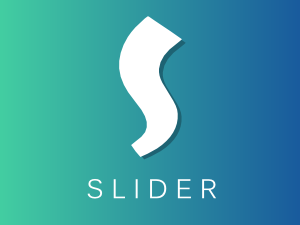 How many sidebars and widgets will you need? Will a big, thick font send the message you’re trying to send or will a lighter one be more adequate? Will this be an image heavy site or will text have precedence? Also try to think of demographics. What’s your target audience? Will they like your theme? After all, they’re the ones that will read your posts and/or browse your products. 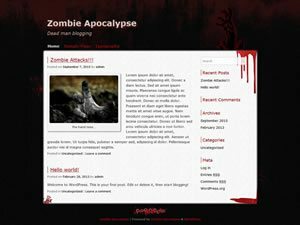 Is the theme easy to navigate, are the fonts readable, is the layout clear? But don’t make it all about the users. Keep in mind that you’ll be the one seeing your site more often than anyone else. You’ll be checking it out constantly, browsing every page, scrutinizing every pixel, updating and adding content all the time and it’s in this very environment that you’ll have to be creative. And if the theme doesn’t inspire you, then it’s useless. 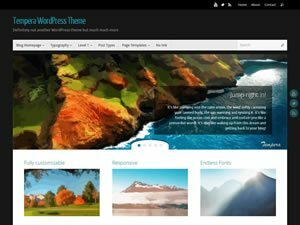 Many WordPress theme demos, preview screenshots and even default installations will not accurately represent the theme once you start replacing the default images and text. So make sure, if you have the opportunity as it’s not really an option with premium themes, to replace the images and text with your own. 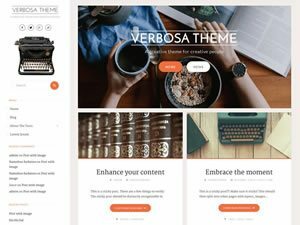 Themes may look a certain way by default, but once those pitch-perfect images and fixed amount of text change you may be left with a bare-bones theme that’s not that impressive any more. Also, and this happens a lot with free WordPress themes, make sure to check out more than the landing page before making a decision. Everybody’s putting a great amount of interest and detail into the landing page and it will make the theme look like a sure win. But if you were to test a blog post with some widget areas or some of the archive pages, you might be in for a not so pleasant surprise. Important details are frequently overlooked by developers: layout and widget spacing, footer design and alignment, comments and comment forms, inputs and buttons. But the most obvious feature that’s constantly missed by theme developers is typography. Plain fonts, small line spacing and font size discrepancies between headings and text, widget titles and content are more common than you’d expect. Free themes (good ones) have a lot more active users than premium themes and thus have way more bug fixes and improvements. For that reason free themes usually also have a bigger lifespan. The obvious one: premium themes are paid. 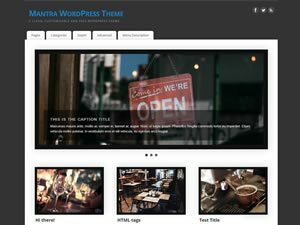 Although free themes may also have a “PRO” version available for sale as well. TIP: If you’re going for a free theme make sure to check out if a PRO version of that theme is available and see what the differences between free and pro are. Find out from the start if you’ll need more than what the free version has to offer. It may sound like a cliché these days but although all themes claim to be responsive, not all of them truly are. But you can easily test that yourself with a tablet and mobile phone or you can use some online tools that will give you a pretty accurate idea. Or both. While manually checking out the responsiveness of your theme remember to not just check the home page (usually the landing page). Check blog pots, archive and search pages, custom page templates and attachment pages. Also pay extra attention to sidebar and footer widgets areas, contact forms and multi-level comments. Try to see how images, videos and other embeds fit in with the content. Load speed is also a great SEO factor so try to stay away from poorly optimized, poorly coded or bloated themes. A few tools to check your site’s loading speed are gtmetrix.com and Google’s Pagespeed Insights. Again, remember that many of the reported issues in such tests are not theme related. Too many features can be just as bad as too few features, especially if you’re not going to use them. What if the theme includes a feature that you usually use a plugin for, a plugin specifically designed for that, with hundreds of thousands of users? Your best bet would be to use that plugin. But then the extra code for that inside your theme’s code will drag it down. Also make sure to test some of your favourite plugins with your WordPress theme. No theme is compatible with all plugins but authors will usually do their best to fix any issues if you bring it to their attention. Everybody wins from theme-plugin compatibility. Make sure to see what your future support options are. Is there a free forum, do you have the possibility of paying for premium support should you need it in the future? And how many updates does the theme have? Make sure you look for a changelog and see what type of changes those updates bring and how frequent they are. It will surely tell you what to expect in the future. User reviews are also a good thing. But remember, actual user reviews, not reviews made up by scrambling the theme’s description on some shady site claiming to review all WordPress themes in existence. Those are as fake as they can get. Tip: When choosing your WordPress theme don’t go looking for “Best 53.6 WordPress themes for August 2025”. Those lists are pure click-bait. Nobody tests and thoroughly reviews 50+ themes every month. Sometimes it takes weeks, even months of using a single theme before truly knowing all it can and cannot do. 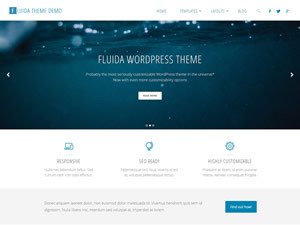 When you choose a WordPress theme, from a security standpoint, your best bet would be using themes from WordPress.org. We have a few themes live there and the review process for admission is pretty thorough. It forces you to use only the right WordPress functions, sanitize everything when saving to the database and escaping all output on the front-end. Themes should also not generate any PHP or JS errors or notices. This not only guarantees the highest level of security but also compatibility with future WordPress versions. Theme check is the go-to WordPress plugin for checking essential theme issues. 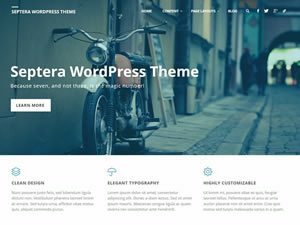 Themes on ThemeForest have recently been subjected to a more thorough review themselves, although the review process itself seems to be a lot less strict since many of the themes’ security is questionable at best. And in third place are themes only available from their developer’s sites. No matter how well intentioned they are, nobody second-checks them and in the long run this can lead to some serious security risks. Customization options give you the possibility to make the theme truly yours. They may save you hours upon hours of searching online “how to hide this”, “how to enable that” or “how to change this color”. 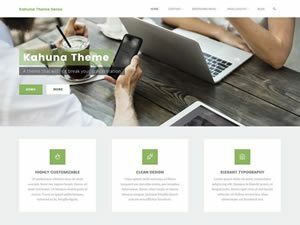 Free themes you can take for test run and see for yourself, and premium themes usually make sure to inform you of all their available settings on a dedicated theme page. Last but not least, when you choose a WordPress theme, make sure your theme is translatable. Even if you don’t need to translate the theme into another language, you may need to change some strings of text. And you don’t want to do that by searching theme files and editing them directly. Look out for a /languages folder and a .pot file in the theme’s directory. Also find out if your theme is compatible with one of the most used translation plugins like Polylang (free) and WPML (paid). Nice article! Thank you, Kay. “also the lead bug designer” LOL Good one!